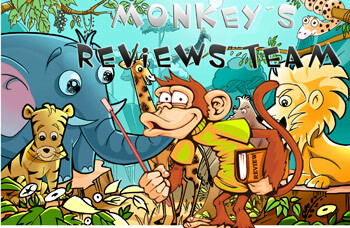 We have founded monkeysreviews to help all those users who want to try in the adult dating sites but want to avoid the bad experiences that can be found in those sites. Our goal is create a site where you can compare different adult dating sites and clarify the differences between the services offered in there, as well as the features of each site. In here, we show you all the options in a clear and concise manner. Our experienced team has used all of the adult dating sites listed in our guide and reviews, in order to create an honest and actual comparison of each site and for each service it offers. This way you need not register at sites that do not really suit your needs, saving time and money on it and to help you decide which site suits you the best. We do not charge for our reviews. So to compensate costs of maintaining this site, some adult dating sites pay us when we send them a customer. However, normally we give more points to sites that charge less to their customers, which leads to us getting paid less by those sites. If it was as simple as whoever pays more gets the best score, our method of scoring wouldn’t be fair. In addition, user comments would diverge considerably under those reviews. If you want to test us, go ahead and leave us a comment about an adult dating site you used but you did not like. It will not be deleted.